There will be changes to the routes of buses 166 and 167 in Kauklahti from Monday 4 March. 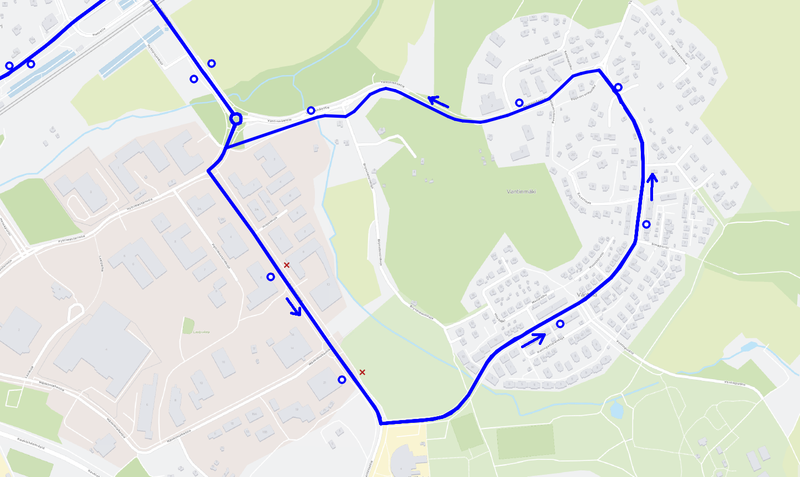 The buses will start serving the new Vantinmäentie street, running via Vantinlaaksontie and Vantinmäentie counterclockwise. At the same time, the timetables of the routes will change and a new service from Vanttila will be added on route 166. The first morning services from Vanttila will depart from the "Mesimäki" bus stop (E5234).